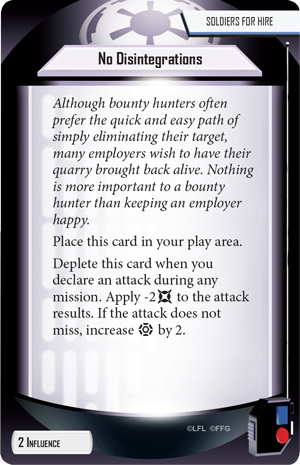 Countless bounty hunters operate throughout the Star Wars™ galaxy, hunting their marks and retrieving them, dead or alive. The offer of cold, hard credits attracts many beings, but one hunter has become legendary for his skill and ruthlessness. 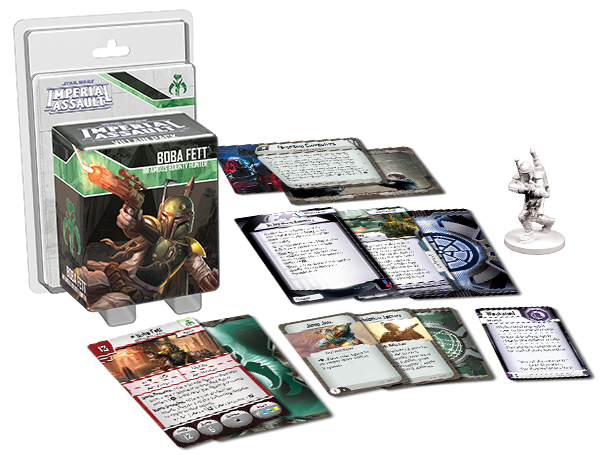 To many, Boba Fett is the most formidable bounty hunter in the galaxy, and soon you’ll be able to fight alongside Boba Fett in your games of Imperial Assault with the Boba Fett Villain Pack! 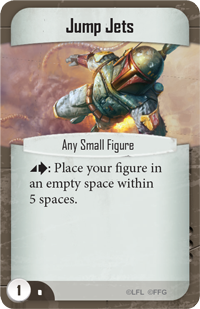 Like other Ally Packs and Villain Packs, the Boba Fett Villain Pack invites you to take up arms alongside Boba Fett with a detailed, sculpted plastic figure to replace the token found in the Twin Shadows expansion. You’ll find more than just a plastic figure in this Villain Pack, though – you’ll also find Agenda cards, Command cards, Deployment cards, and three new missions to make Boba Fett a threat in your campaigns or skirmishes. Join us today as we explore the tricks and traps available to master bounty hunters within the Boba Fett Villain Pack! Boba Fett is a formidable bounty hunter and in Imperial Assault, you can hire him to hunt down your enemies. Boba Fett already boasts significant health and a speed of six, which allows him to move quickly across the map. He also applies an automatic block and evade to any attacks made against him, making him difficult for your opponent to pin down and destroy. What’s more, Boba Fett’s attack dice pose a potent threat as well, even before you apply his surge abilities. During an attack, Boba Fett can spend surges to pierce his opponent’s armor or inflict the new Weakened condition, which reduces an enemy’s surges and evades. He gains even more surge abilities with his Battle Discipline ability. With Battle Discipline, you can choose an additional ability to apply to an attack when you declare that attack. You may gain additional accuracy to hit a long-range target, spend a surge to deal two damage and take down a heavy hitter, or spend a surge to recover some damage if Boba Fett is wounded. Finally, once Boba Fett closes in on his target, he never lets it escape easily. 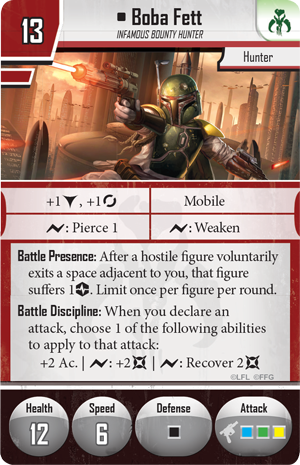 Boba Fett bears the Battle Presence ability, which forces hostile figures to suffer a strain after they voluntarily exit a space adjacent to Fett. If your enemy is brave enough to come toe-to-toe with Boba Fett, he’d better be prepared not to leave until he’s finished the job. 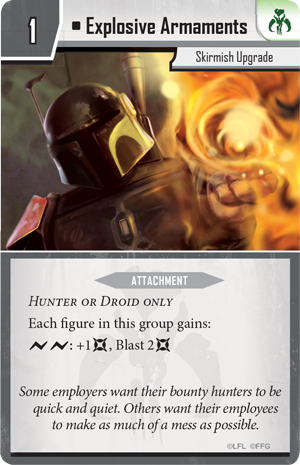 Boba Fett naturally forms a large part of the Twin Shadows mini campaign, but you can bring him into any campaign with the Soldiers for Hire three-card Agenda set. 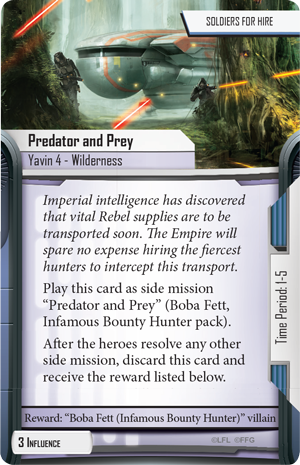 You may attack the Rebel heroes as they attempt to move a caravan full of supplies for the Rebel Alliance during the Predator and Prey side mission. The heroes may choose not to undertake this deadly mission, but if they bypass it or are defeated by the Imperial player, the Empire can call upon the services of Boba Fett in any future mission. The other Agenda cards in the Soldiers for Hire set help you bring in your targets – dead or alive. You may play By Any Means Necessary after a Mercenary figure completes an attack to immediately make an additional attack against the same target. Then, the attacker suffers four damage, but this can be a small price to pay for potentially wounding a hero before he has a chance to rest and heal. Alternatively, you may forgo direct damage to play a longer game. No Disintegrations remains in your play area, and you can deplete it when you declare an attack during any mission. That attack does two less damage, but if it doesn’t miss, you can increase your threat by two. Additional threat can mean the difference between timely reinforcements or being overrun by the Rebels, so No Disintegrations can serve the Empire well in its battles against the Alliance. The Boba Fett Villain Pack offers plenty of new tricks and tactics for your skirmish games as well. Boba Fett can be a powerful addition to any skirmish team, but he also comes with a new skirmish upgrade. This card is Explosive Armaments , an attachment that can be granted to any Hunter or Droid in your army. While a Deployment card is enhanced with Explosive Armaments, each figure in the group can spend two surges to deal an additional damage to your target and blast two additional damage onto each adjacent figure. If your opponent plans on moving his figures in close squads, Explosive Armaments could quickly make a mess of your opponent’s forces. 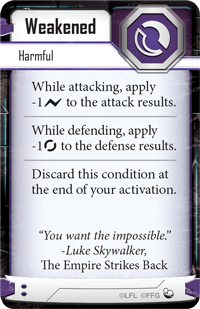 The new Command cards included in the Boba Fett Villain Pack can help you bring even more pain to those who resist capture. For instance, Capture the Weary allows any Hunter to choose an adjacent hostile figure to become Weakened. 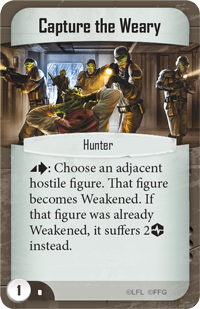 If the chosen figure was already Weakened, it suffers two strain when you play Capture the Weary! Inflicting strain in a skirmish game can be an excellent way to reduce your opponent’s own supply of Command cards. Alternatively, you may need to quickly traverse the battlefield. The Jump Jets Command card allows one of your figures to spend an action to be placed on any empty space within five spaces. Using your Jump Jets at the right time can help you race to an objective or launch a sudden attack against a wounded figure. 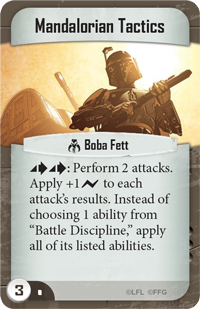 If you’re fielding Boba Fett as one of the figures in your skirmish team, you’ll certainly want to consider including the new Mandalorian Tactics Command card. For two actions, Mandalorian Tactics allows Boba Fett to perform two attacks. Each of these attacks gains a bonus surge, and instead of choosing a single ability from Battle Discipline, you apply all of the listed abilities, giving your attacks added range and damage and helping you recover damage. When you exercise Boba Fett’s Mandalorian Tactics, your opponent will certainly rue the day you hired this bounty hunter. Boba Fett may command a steep price, but those who have hired him know he’s worth every credit. 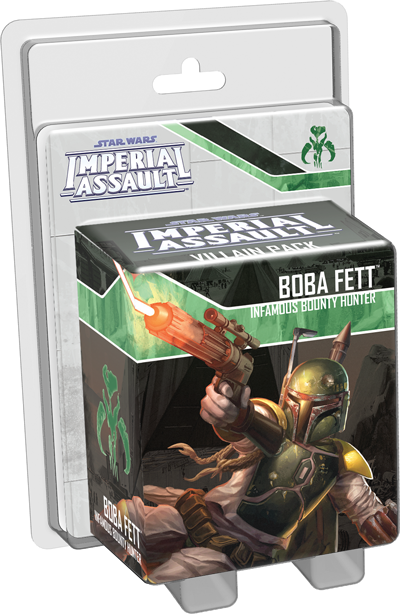 Put out your bounties and call on Boba Fett to join your forces with the Boba Fett Villain Pack for Imperial Assault. Pre-order your copy of the Boba Fett Villain Pack at your local retailer today!